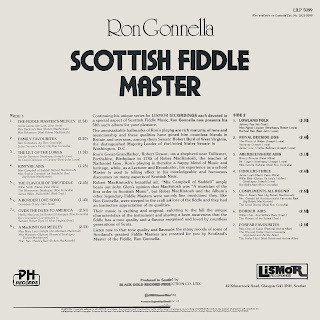 The late Ron Gonnella taught at Morrison's Academy in Crieff, Perthshire, for many years. 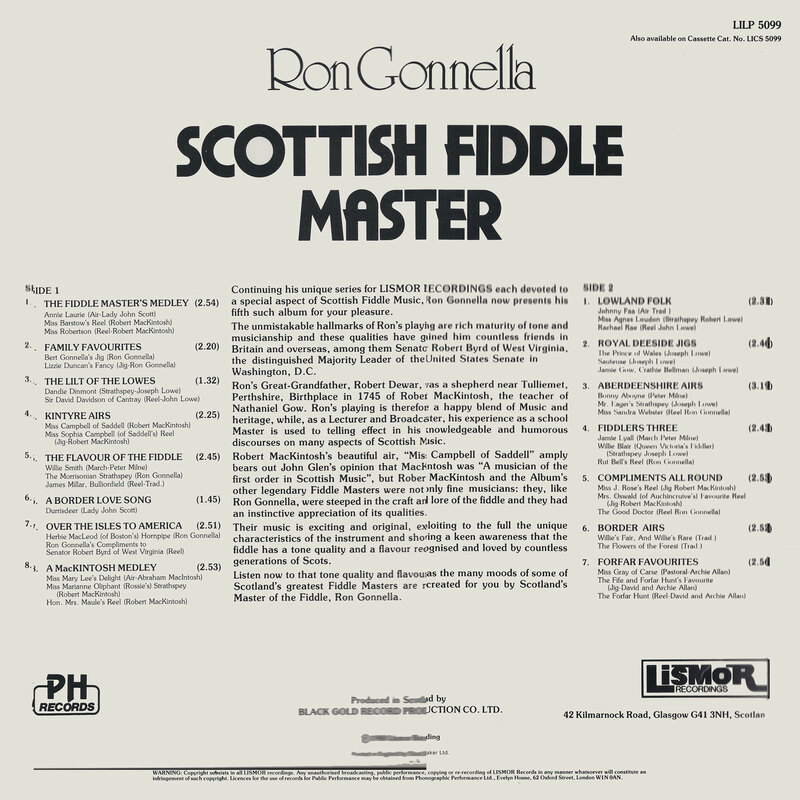 When he wasn't there he was travelling the world playing Scottish fiddle, recording albums, and performing on radio, stage and dance halls. 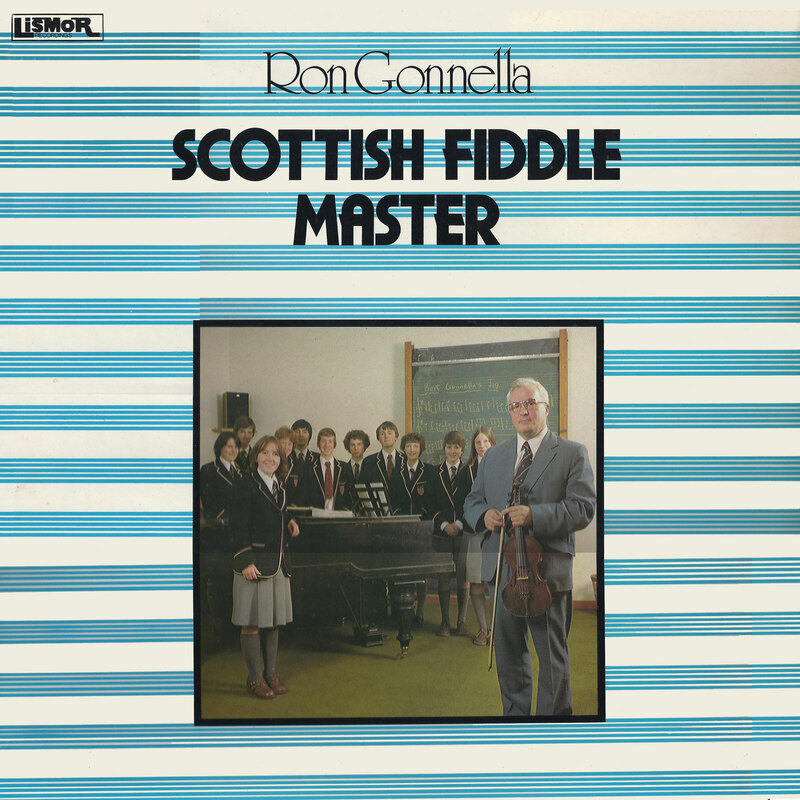 His great love was the music of the Golden Age of Scots fiddle, typified by the compositions of Niel and Nathaniel Gow, Robert Mackintosh, William Marshall and Joseph Lowe. 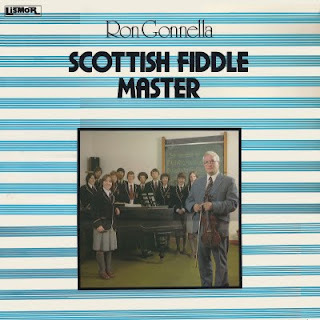 Although there are pops and crackles and the odd jump on this vinyl recording, the music shines through. Top recording, from hauntingly beautiful to lively and gay. Thank you. ah, this posting makes my day and no mistake !